One man. One year. 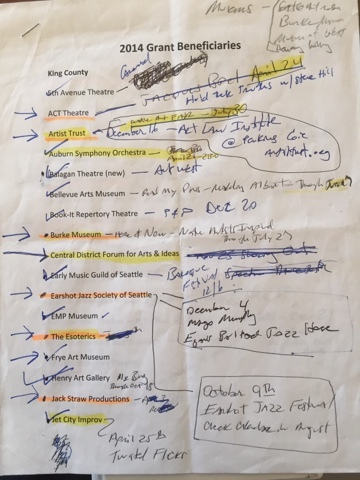 55 arts and cultural organizations … can he do it!? 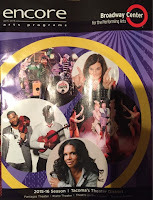 The final event for this project was Audra McDonald at the Broadway Center for the Performing Arts, on October 25, 2014. I finished well ahead of my November 12 deadline and won the bet. Fortunately the blog was not part of the wager - it took another month to complete all the blog posts. There are many to thank for their encouragement and help along the way. First, Mari Horita and the ArtsFund staff. They provided all kinds of support: looking out for good exhibits, performances and events to catch, helping me learn more about the organizations and art I was seeing, and even joining me at several performances. Jim Duncan, of course, must be recognized for making the original challenge, for graciously offering a lot of encouragement (and some free tickets!) along the way, and for the dinner we will enjoy this Sunday evening. Our region provides many wonderful opportunities to enjoy art with everyone in the family, and I want to thank mine. Chris, my lovely wife of 41 years, joined me at the vast majority of performances. I also had fun outings with both daughters and their partners, individually and in groups, attending events that fit their diverse interests. Readers may have also noticed a slight tendency to share a bit about my Grandson. See Children Remind Us. Finally, the greatest help came from my brother Scott. He painstakingly edited every post, offering a lot of encouragement along the way and not murdering me (although he threatened) for my repeated grammatical errors. Scott will be directing Mary Poppins next March for Theater Arts Guild, a wonderful community theater up in Mount Vernon. And last but certainly not least, the pitch! Over the twelve months I experienced just about every kind of art the Puget Sound has to offer - dance, film, theater, music, visual art and more. 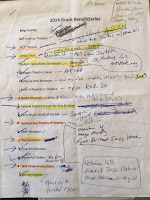 I learned that the organizations ArtsFund supports are more inventive, challenging and innovative than I ever imagined. 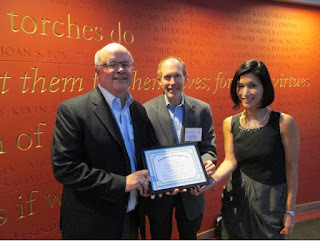 These organizations serve thousands of students through outstanding education programs. They have large and diverse audiences, and many are expanding their reach to serve new communities in our region. 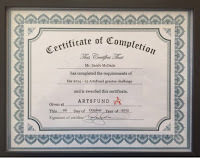 These organizations each make their own unique contributions, but they share at least one thing in common: they receive vital operating support from ArtsFund. We need your help to make it happen. 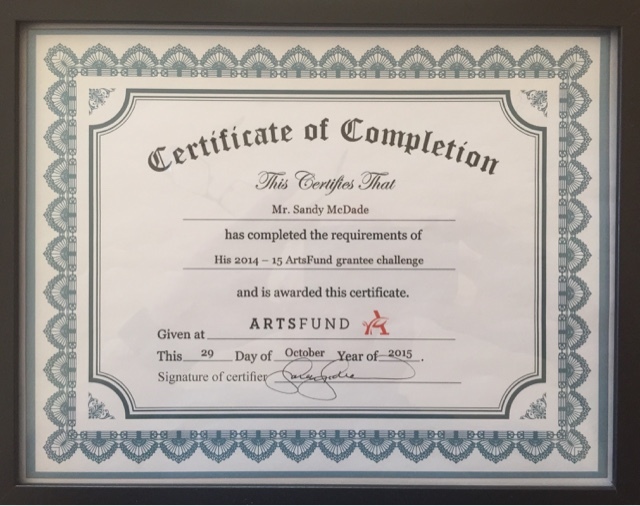 Please make a contribution to ArtsFund during our 2016 Campaign. Here is the link: Donate Now! at the ArtsFund Annual Meeting, held at the Seattle Repertory Theatre. Fifty five down. All Done!! 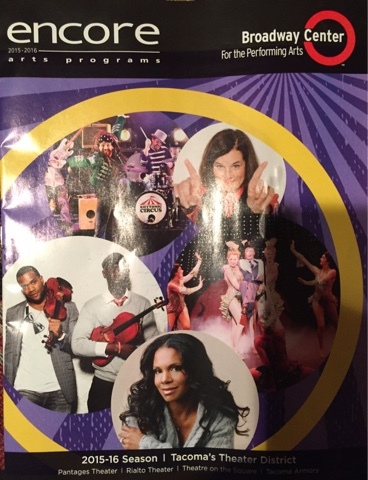 In addition to being a fabulous entertainer and winner of six Tony Awards, Audra McDonald is a student of American Musical Theater. 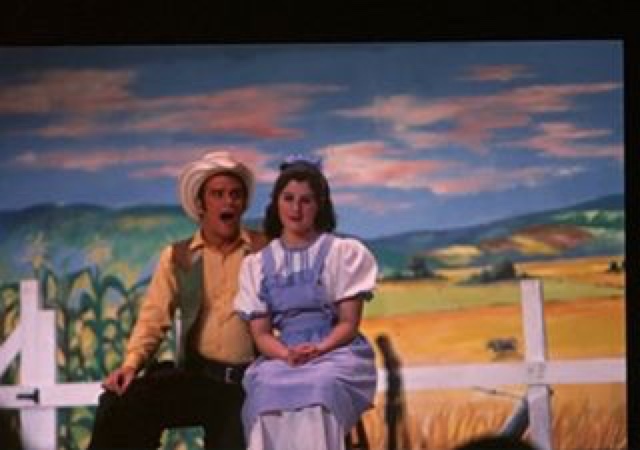 For this show Ms. McDonald and music director Andy Einhorn curated a selection of beautiful and engaging songs from the very familiar to those known only to the most ardent musical theater fan. She narrated the performance with wonderful explanations of each number's history, and of the actors, composers and lyricists who have been her inspirations. After the performance we had dinner in Tacoma with some good friends, one of whom was on the Broadway Center board. Our friend pointed out that the audience, which packed the Pantages Theater, had come from all over the region. That is what the Broadway Center does; based in Tacoma, it brings focused support to all forms of live performance in our region through four venues, seven resident arts organizations, and eight separate education programs. This was the perfect final show for my ArtsFund project. In the past 12 months I have learned so much about our region's amazingly rich visual and performing arts. It has been fabulous to experience a broad spectrum of art, much of it beyond my comfortable favorites. This show was perfect reward for reaching my goal, however. It brought me back to something I already knew: I love American musical theater. 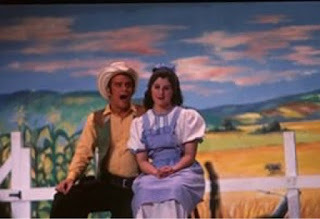 Sandy, as Curly in Oklahoma. There are many to thank for helping with this project, which I will do in a final post. Fifty four down. One to go. 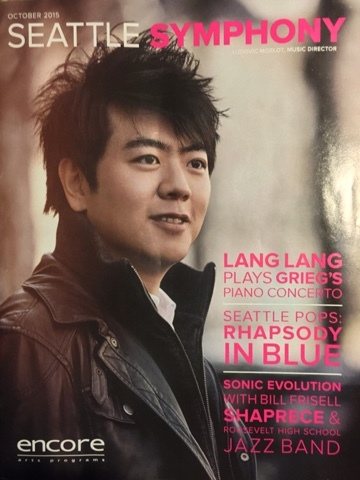 The two Seattle Symphony concerts we saw for this project demonstrated the orchestra's incredible depth and broad audience appeal. 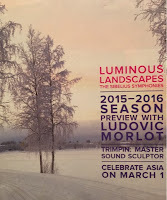 The first, Luminous Landscapes, featured the work of Finnish composer Jean Sibelius. 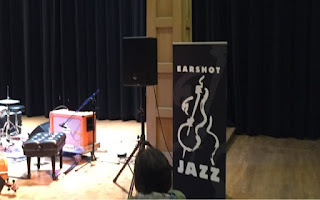 The second, Sonic Evolution: Under The Influence was a co-presentation with the Earshot Jazz Festival and included Symphony performances with the Roosevelt High School Jazz Band, renowned jazz guitarist Bill Frisell and the very popular local singer Shaprece. In celebration of the 150th anniversary of the composer's birth the symphony devoted six programs entirely to Sibelius music, presenting all seven of his symphonies. We saw the first two in a performance conducted by Thomas Dausgaard, Conductor Laureate of the Danish National Symphony. We particularly enjoyed the beautiful tone poem Finlandia, written following Russia's 1899 February Manifesto severely limiting civil liberties in Finland. The Sonic Evolution concert began with composer Derek Bermel's Migration Series for Jazz Ensemble and Orchestra. Composer Bermel joined the orchestra on clarinet along with the Roosevelt High ensemble. The music was based on 60 panels about the Great Migration painted in 1941 by artist and former UW professor Jacob Lawrence. The panels were projected above the orchestra, art and music combining in a moving telling of the migration, from wide open southern landscapes to life in northern cities. 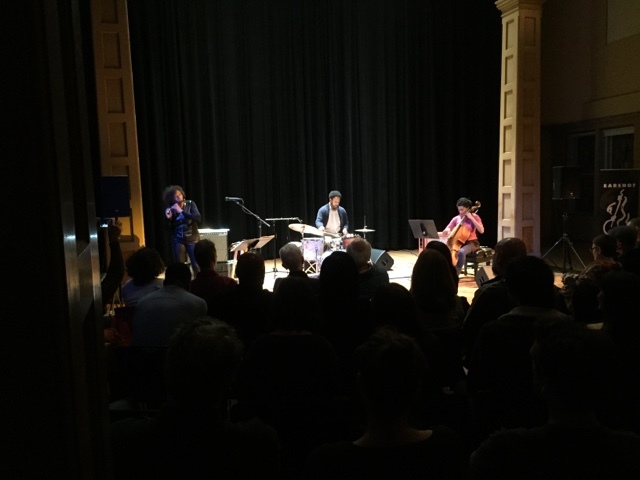 Following a new work by Wayne Horvitz, Shaprece's high-energy performance (complete with two onstage dancers) was the perfect cap to a diverse, high quality concert, full of youthful energy both onstage and in the audience. Under the direction of Ludovic Morlot since 2011, the Seattle Symphony performs to more than 500,000 people each year, both onstage and through radio broadcasts. Its home is in Seattle's beautiful and acoustically superb Benaroya Hall. Each year the Symphony's education and community engagement programs reach over 65,000 children and adults. 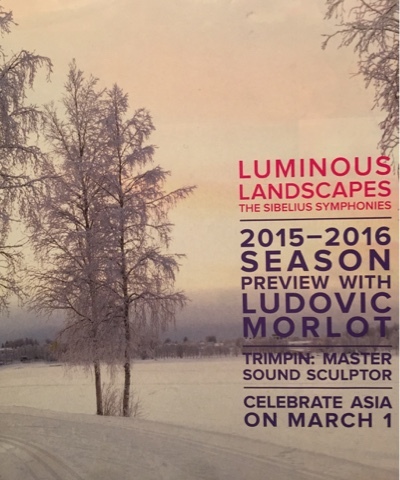 The Symphony has a deep commitment to new music, commissioning many new works each season. Since its founding in 1903 the orchestra has made nearly 150 recordings, received 18 Grammy nominations and won two Emmy Awards. A gem in our midst, indeed. Fifty three down. Two to go. The Northwest African American Museum was a great place to spend a long Saturday afternoon learning more about the history of our region and the Black experience in America. NAAM seeks to spread knowledge, understanding and enjoyment of the "histories, arts and cultures of peoples of African descent." This was evident in the reading I attended at the museum by Washington, D.C. based author David Nicholson. His excellent book Flying Home is a collection of short stories about ordinary men and women in our nation's capital. Described as "sad, wise and funny", it takes us "behind the curtains of race and class that separate us and often hides our common humanity." Mr. Nicholson's wisdom and humanity was certainly evident in the long discussion that followed his reading. Another way NAAM seeks to accomplish its mission is by presenting the connections between the Pacific Northwest and people of African descent. The museum's exhibits do that in masterful fashion. 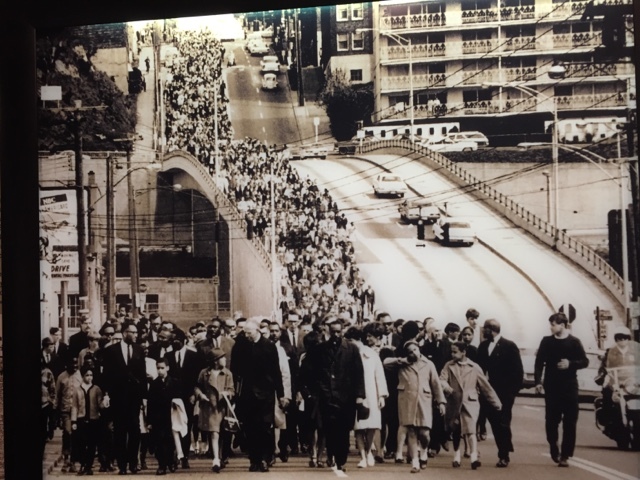 I particularly enjoyed learning more about the civil rights movement in our region, much of which I witnessed as a kid growing up in Seattle. 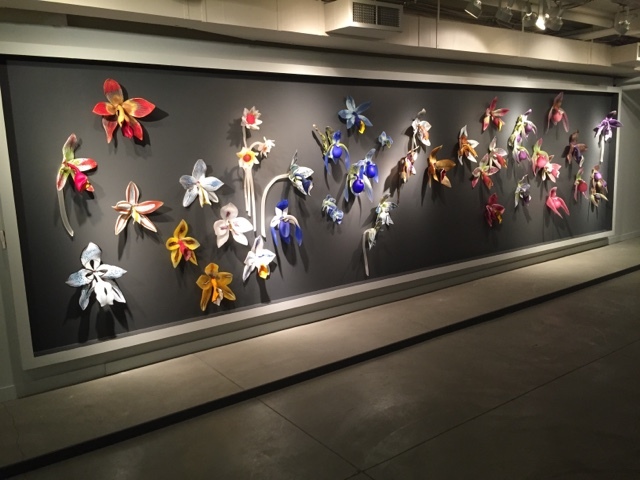 The museum was also featuring an exhibition of beautiful glass orchids by artist Debora Moore, one of many cultural, artistic and historical exhibitions offered each year in NAAM's three galleries. NAAM opened in 2008 and is thriving today, with over 14,000 visitors last year. Its workshops, lectures and community conversations were attended by over 3,400. NAAM also offers space for private events, with a "unique cultural backdrop" available for meetings, weddings and other functions. NAAM's vision is broader and more ambitious than just building an outstanding museum - it is about driving change in our region. It seeks a Pacific Northwest where the important histories, arts and cultures of people of African descent are embraced as an essential part of our shared heritage and future. A wonderful goal indeed. 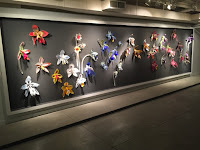 of glass orchids by artist Debora Moore. Fifty two down. Three to go. Earshot Jazz has a message for the Pacific Northwest: Jazz is not dead. It isn't even ailing. 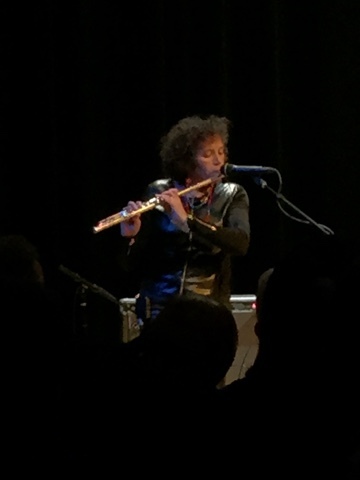 This year's Earshot Jazz Festival proved that once again, with more than 50 events in clubs and concert halls around Seattle. The number of events, however, is just part of the story. The size and and diversity of the audiences at the Festival demonstrate the strength of jazz in our community, along with the vibrancy and artistry of the players across a broad spectrum of ages, races and cultures. We saw a jazz trio perform at the Good Shepard Center in Wallingford, one of 19 Festival venues. The musicians were cellist Topeka Reid, flutist Nicole Mitchell and drummer Mike Reed. From Chicago, the three are prominent jazz performers, composers and educators. They are also key figures in the Chicago jazz collective known as the Association for the Advancement of Creative Musicians. Their music was engaging and approachable and we particularly enjoyed Ms. Reid's beautiful jazz flute. Earshot Jazz has been supporting and presenting jazz in our region since 1984. In addition to the annual Festival and many other presentations, Earshot provides jazz education and publishes a monthly jazz magazine. Although the Festival presents jazz artists from around the world, its strong Northwest roots are shown through performances by local groups such as the Seattle Repertory Jazz Orchestra, the Westerlies brass quartet and the Seattle Women's Jazz Orchestra. Fifty one down. Four to go. 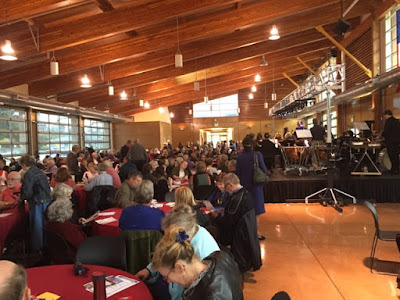 My trip to Puyallup to hear the Northwest Sinfonietta held a few surprises. 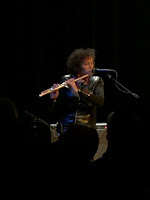 The Sinfonietta's excellent music was to be expected. The venue, however – a gorgeous laminated beam structure at Pioneer Park – looked nothing like a concert hall. At first it seemed that I was in the wrong location, but before it was over even conductor David Lockington expressed surprise at the wonderful acoustics. The informal table seating, with light lunches and wine available, was delightful. It all made for a very congenial atmosphere on an otherwise dreary Sunday afternoon. The program featured Gabriela Martinez, an exciting young pianist from New York, playing Mozart's Piano Concerto No. 20. The Orchestra also performed Copland's Music for Theater and Beethoven's Symphony No. 8. The conductor introduced each work, providing historical context about the composers and the music. The informal atmosphere was perfect for a chamber orchestra, typically around 35 musicians (about half the size of a symphony orchestra). The smaller ensemble provides the chance to experience classical music in a close and intimate fashion. For its 25th Anniversary Season the Sinfonietta has adopted an artistic leadership model where a rotating group of "Artistic Partners" conduct the orchestra. They are engaged for multiple seasons and collaborate with the musicians on programming and artistic quality. 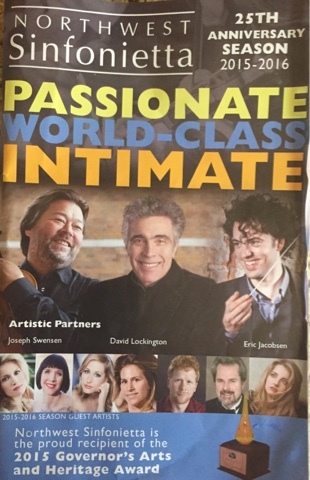 In addition to Puyallup, the Sinfonietta performs in Seattle at Benaroya Hall and at the Rialto Theater in Tacoma. for an informal chamber orchestra concert. Fifty down. Five to go. 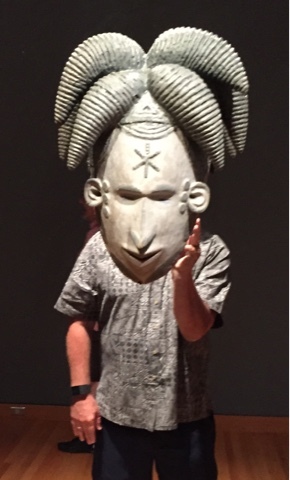 The exhibit Disguise: Masks and Global African Art demonstrated the strength of the Seattle Art Museum. 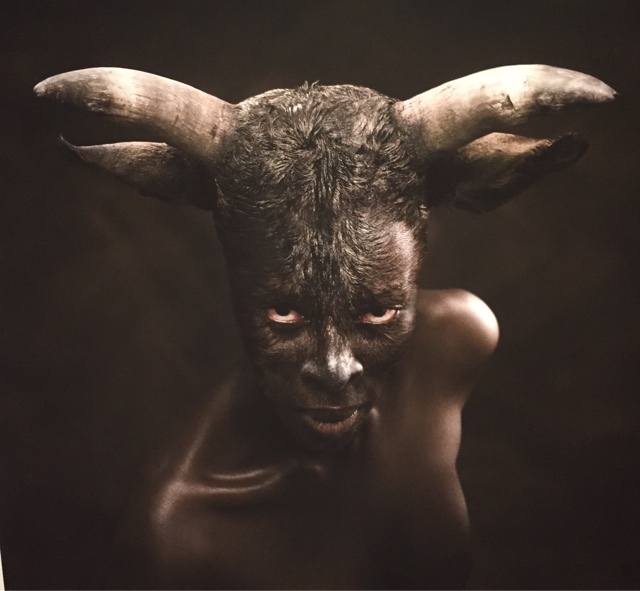 Brilliantly conceived, it showcased African masks from SAM's collection along with new works created for the exhibit by artists from around the world. The immersive multi-media installations flowed through several rooms. Each was an exploration of the theme by a different artist, featuring stories and experiences, and accompanied by an original sound track written for the exhibit. 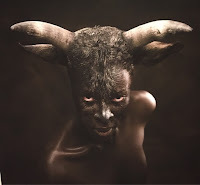 It was beautiful, challenging, mystical, at times whimsical, and thoroughly compelling. ArtsFund was a presenting sponsor. 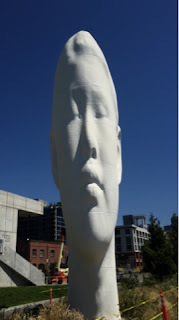 Last year, SAM's 80th anniversary, over 750,000 people visited its three locations: the museum's home in downtown Seattle, the Asian Art Museum on Capitol Hill, and the Olympic Sculpture Park just north of Seattle's central waterfront. 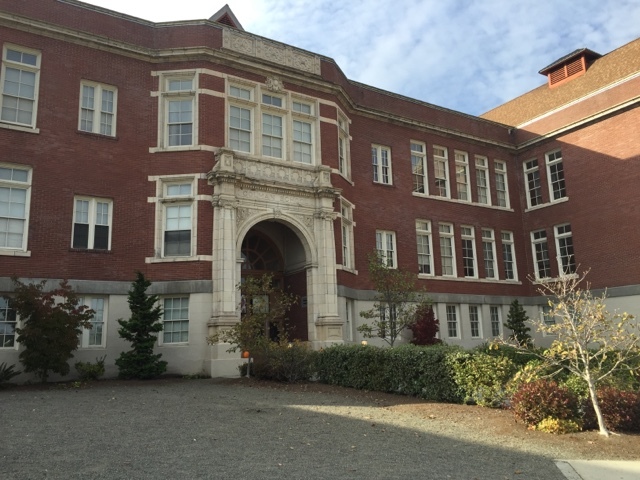 Almost 50,000 young people from the Seattle area and beyond participated in SAM's varied educational programs. They include numerous summer activities and events for kids, education programs in the classroom and at the museums, and extensive programming for teens. The 80th anniversary celebration featured a special exhibit at the Asian Art Museum which explained how the SAM collection began, focusing on its founder Dr. Richard Fuller. At the Olympic Sculpture Park SAM installed Echo, a monumental new sculpture by James Plensa. SAM continues to expand its global collection with significant new acquisitions that fill gaps and add depth to the collection. SAM is strong, growing, truly world-class and clearly makes our region a better place to live. Echo to its Olympic Sculpture Park.